CCCC has one of the largest Junior Development Programmes in Australia with over 70 juniors participating in three graded sessions each week as well as many more who race in our novice clinics. Our programme has been very successful over a long period and has produced many Australian and World Champions in both road and track disciplines. In recent years as our programme has grown we have sought to develop a pathway for talented and hardworking juniors to progress through our various levels of training on to sports-institute programmes. Our development programme is track-based and is run at our “home” velodrome at Packer Park Murrumbeena, and at the indoor velodrome at Darebin International Sports Centre (DISC). The programme is run by a group of dedicated Club coaches who specialise in junior development. 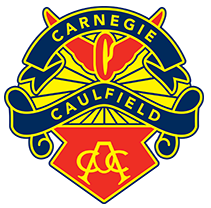 If you would like to know more about the programme please visit our JDP pages or contact us at juniors@carnegiecycling.com.au. If you have done something interesting, had a good result (at a race, on a training ride, or even just being able to beat Dad up THAT climb for the first time, email a short note to juniors@carnegiecycling.com.au and we will publish it here.